Driving License in Saudi Arabia comes in multiple duration, (2 years, 5 years, 10 years). All of them having different license fee which is explained below. If you don’t have a saudi driving license and you are looking for one, Read this Step by Step Guide How to Make Driving License in Saudi Arabia. Also if your Car Registration is expired you may read it here How to Renew Car Registration in Saudi Arabia. Depending on the type of your driving license, Pay the fee using a Bank account of your own or any of your friends. Normally the driving license fee is 40 SR per year for a private license of small car. So in-case you want to renew it following is the fee structure. I suggest you to do the payment by yourself or if you want any agents to do it for you, they might charge up-to 50 SR for nothing. Driving license fee can be paid from any bank account either SABB, NCB, Riyadh Bank or Al-Rajhi. Keep the payment receipt with your file as well. Download this form Issue / Renew Driving License Form and fill it in Arabic. Attach 2 personal photographs (4in x 6in) with white background and attach them with the form. Complete your file by adding following. Confirm nearest Moroor office (from your friend or colleague or any local resident) and submit your file to get renewed license. They might ask you for an eye test and will guide you to the place where you can complete this test. Once you get a report of your eye test, visit them back and they will print your license within 5-10 minutes. Here is a list of green companies in Saudi Arabia. This list is complied by Pakistan Consulate in Jeddah at their website. Below is the attached PDF file. This list might be quite useful for Job seekers to try their luck for a better job in Saudi Arabia. As per Saudi Govt laws only green colored companies are suitable for expatriates to do jobs. In case an expat worker who is working in Red Category or Yellow Category company he might transfer his sponsorship into a Green Category company. Najm (نجم) is an official Insurance company in Saudi Arabia which helps at the time of if unfortunately you got a road accident. Once you report a road accident, an official from Najm arrives at accident spot and helps you and the other accident party to evaluate amount of loss and damage and redirect you to next steps to avail insurance amount and fix the vehicle. Keep in mind that Najm Company investigates the accidents without taking any financial rewards from either of road accident parties. It is essential that one party to the accident should hold a valid insurance policy from one of the insurance companies operating in the Kingdom of Saudi Arabia and adopted by Arabian Monetary Agency. Any distinguished or outstanding signs of the accident. Inform customer service if the cars involved in the accident can move or not. Be sure to note the number of the case and date of the accident (given by the recipient of the call center) to facilitate the procedure of following up you case with insurance company in the future. Accidents that happen outside the geographical coverage of Najm Company. Accidents that result in death cases, injuries or fires, or a result of a natural disaster or criminal accident. Accident where none of the parties to the accident have a valid insurance policy from one of the insurance companies operating in the Kingdom of Saudi Arabia and adopted by Saudi Arabian Monetary Agency. Visit the Najm website for more information. India is becoming a threat to its neighbors by sending its army on to the borders including Pakistan & China. India has a history of border clashes with Pakistan and Indian media is always ready to start the propaganda game against its neighbors. The value of Indian Rupee (INR) is in decline from last 2 years. I think it is a good sign for Pakistan, if India is having a destabilized economy, India will remain calm at its borders and remain peaceful with its neighbors. The graph below shows comparison of Indian Currency vs Saudi Riyal. I am moving to Jeddah in few weeks. One of my friends in Saudi Arabia told me that there is no public transport in Jeddah, Saudi Arabia. I am not in such a position to get own vehicle immediately after reacing Saudi Arabia so what are my options for local transport in Jeddah city, specially daily while going to work-place and coming back. Also guide me about own vehicle / driving license in Jeddah as I might plan this for my future. City transport in Jeddah is not in good shape. In current year’s budget Saudi authorities planned to invest on public transport. However it might take a lot of time. 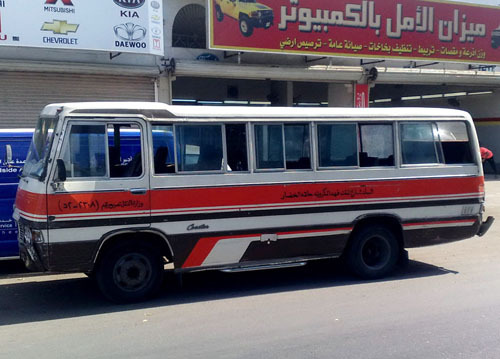 You will often see it moving on Jeddah streets, however these hafila buses are not available for every part of the city. These mini buses are very old models probably from 1970’s and 1980’s. Mostly driven by ill mannered drivers. They charge 2 SR from any point to any point during a single trip. Majority of these buses are available at down town Jeddah, The hafila bus start its trip from down town, go to its other destination at other part of the city. Then start its trip back to Down Town Jeddah again. SAPTCO Bus for Jeddah city transport ticket cost is 2 Saudi Riyals. It has various routs inside Jeddah city but it is rarely available on the streets. 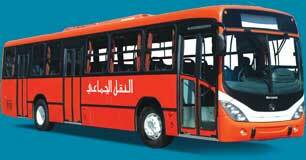 It is an air-conditioned bus covering various parts of Jeddah city. Take a look in SAPTCO bus ride. Available in huge number on all Jeddah streets, trip cost starts from SR 10 and depends on the destination, there is no Taxi meter who decide your travel distance and cost. You can also bargain with driver and drop one taxi if driver is not decreasing trip cost, because one will go and another will come at same time. I also heard a news some time ago that Jeddah authorities are planning to develop a Taxi system in which you just call a number and nearest available vehicle will come to pick you up, this could decrease traffic jams on Jeddah streets. However this is not yet implemented, taxis are wondering freely on the streets for passengers. Some time it may happen to you. You are waiting for a taxi on road and suddenly a private car flashes head lights near you or the driver is asking you for hiring his car. This will be a private car, it normally charges less than a taxi and take you to your destination. These cars are not licensed for picking up passengers from the streets and any time a police car could stop this and investigate if it is used for loading / unloading passengers. Still they are available and the guys inside them earning livelihood. There are dozens of ‘Rent a car’ services available in Jeddah. Their daily charge for a normal car starts from SR 90, maximum 150 for a luxurious car. However they apply a limit on traveling miles (I guess 200 KM a day). For extra millage you have to pay them more. For out of city travel you got to mention while renting. You can also have a monthly agreement for rent a car which is ranging from SR 900 to SR 1500. Having own Transportation in Jeddah, Getting Driving License is an easy step, you could go for it as well. 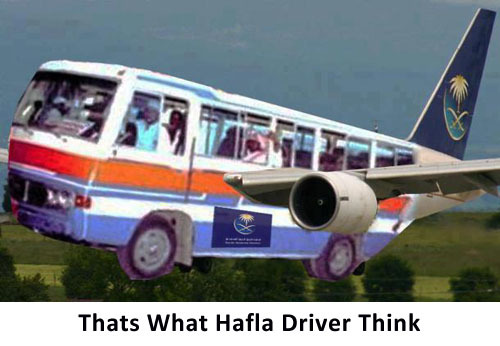 At the end I would like to mention, the hafila / 2 Riyals bus are sometimes dangerous. There drivers are riding like rockets and they have bad manners as well. In countries like Pakistan and India you can have a bike as a source of transport but in Jeddah it is not possible to ride a bike in between quick traffic. These days a picture is moving on social media sites, you can get an idea about hafila from it as well. 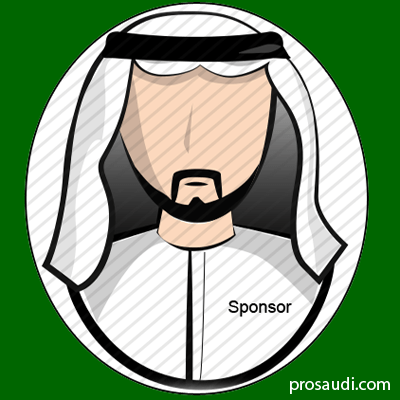 I just renewed (22 days before) & transferred my Iqama sponsorship from a Saudi individual sponsor in Al Ahsa, Dammam to Riyadh Capital based in Riyadh. My Iqama shows issue place to be Dammam, I am seeing this as trouble as i have to go Dammam ministries for any work, for example: family visit visa, permanent family (wife) visa. What might be the best solution to change this from location from Dammam to Riyadh. My Iqama profession is ‘Marketing Specialist’ “Ekthe sasi tasweek” “اختصاصي تسويق” which i changed 1 week before, Can i apply family visa with this profession? What are my chances, i got my my UK MBA Degree attested, translated, and marriage certificate attested & translated. Thank you. Once your Iqama is expired and then renewed, it will automatically change its place of issue to Riyadh (as per your new sponsor’s business is registered in Riyadh city). Alternatively you may request for a new copy of Iqama card, just to change its “place of issue” or “issuing place”. This will cost you around 100 SR. But it will not change the date of expiry or anything else. Also if you have changed your profession successfully, the new profession will be printed also on new Iqama. Ask your sponsor’s legal advisory to help you getting it. Yes this profession is eligible for Family Visa and Visit Visa. Having your attested educational certificates with you is a plus point and it will help you to get a visa easily. For any more questions, drop a comment in the comment box below. A-O-A Dear, I have 3 questions for permanent family visa. 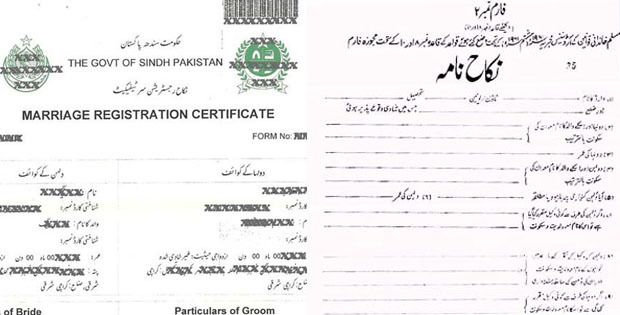 Do i need to attest marriage certificate from MOFA in saudi arabia? Can i go directly to bank and deposit the family visa fees without having bank account. Hoping to see congenial swift reply. Please find the answers below as per my knowledge. Yes you need to attest it from Ministry of Foreign Affairs Saudi Arabia (MOFA). It is a mandatory step as I have gone through this. This should be done after completing attestation process from your home country. Attestation of MOFA verifies that the attestation done by Saudi consulate in a foreign country is genuine and original. You can get more guideline about attesting documents from this post. The process is similar to that explained there. In Jeddah there are so many Authorized Translation centers, but most commonly they are situated at King Fahad Street (60th Street) in the are that lies between Gharnatha St and Prince Muhammad Street. Take a look at the snapshot of Translation Centers. There is translation center in Consulate General of Pakistan in Jeddah as well. Probably it is cheaper as well. You cannot deposit without having a Bank Account or at least it will be difficult. To do that you may get help from any friend who has a bank account, if some unknown person do it, they may charge you up to 50 SR for this. But before depositing the fee for family visa, first submit your visa file to Istikdam office and decide on their response. If they advise you to submit the fee then go for it. I hope these answers will help you. For more questions about Saudi Family visa, please submit your questions to the comment box below. Regards, Yasir Imran.